South Texas AG Ministries is a member of the General Council of the Assemblies of God (USA). Click here to learn more about the Assemblies of God (USA). The South Texas Royal Rangers are proud to be a ministry of the South Texas District Assemblies of God. Under the leadership of Rev. Tim Barker, South Texas Assemblies of God strives to facilitate the health, growth and development of ministers and ministries in South Texas. As part of the South Texas Assemblies of God family of Ministries, South Texas Royal Rangers seeks to help Rev. Barker fulfill that vision. In addition to Royal Rangers, South Texas Assemblies of God provides leadership through the following ministries. We encourage you to learn more about these ministries and how they can serve you and your community. Honorbound is more than a name for Men's Ministries. It is a new way of looking at oneself as a godly man. As a result, it embodies the vision of where we are trying to go with all men. The major philosophy is to challenge men to think about who they are in Christ when they think of the name HonorBound. God gave to the church a commission to reach our world with the message of Jesus Christ and to make disciples. Not only did Christ commission the church, He empowered the church to carry out the Great Commission. Today we have men and women from South Texas fulfilling this commission as the body of Christ has “sent them out” to regions all around this globe. South Texas Girls Ministries' goal is to see every girl in South Texas moving toward a deep relationship with Jesus Christ. They seek to empower girls to walk in their full potential. Gender specific ministry is crucial for developing girls into women of God. Girls are faced with so much confusion and temptation in their daily lives, but in a setting catered to girls they can connect with each other and an older mentor who can invest in them through Bible study and activities and help them grow in their faith and discover the answers to the questions they face. Research shows girls learn more quickly and deeply when they are taught by a role model. Girls need a real-life example. When a girl understands what it means to be a godly woman, she aspires to the design that God intended. A single-gender classroom has many benefits, but the greatest of these is for a girl to feel safe and secure in her discovery of who God intended her to be. 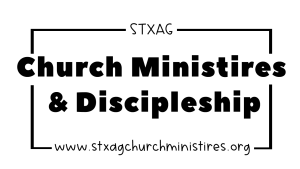 The focus of the South Texas Assembly of God District Department of Church Ministries and Discipleship is the individual at the local church level. They exist, as district officers and sectional representatives, to help the South Texas Assemblies of God churches, leaders, teachers, and workers to carry out their tasks of evangelism and discipleship. They are a resource center for the purpose of developing healthy ministries. * Reach women with the transforming power and love of Jesus Christ. * Assist local church Women’s Ministries leaders in creating a ministry that women cannot resist. * Inspire local leaders to reject the status quo and try many different activities, outreaches and methods to reach women in their communities. * Provide resources for the local leader. * Encourage women to find their place in ministry. We are believing God to see many new church planted all across South Texas. If you are called to plant a church... if you want to work with a spirit filled organization... if you are looking for partnership... please have a look at their website and prayerfully consider working with them! Every community needs a healthy church. We are here to help achieve that goal through what we call church health initiatives. Some of these include educational and church training resources, logistical support, resourcing, mentorship programs, church transitional assistance and encouragement. We believe Strong churches equal a Strong America! Located amidst the breathtaking and diverse scenery of Kerrville, Texas, Hill Country Camp & Conference Center presents a unique destination for any group. With over 122 acres of rolling hills and stunning countryside, Hill Country Camp & Conference Center offers an uncommon natural setting for retreats, conferences, business meetings, or camping programs. Our year-round facility is capable of hosting multiple groups at one time, as well as one large group of up to 1,000 attendees.